Holiday globes, donated by Chamber, decorate Main Street, municipal/post office parking lot trees. 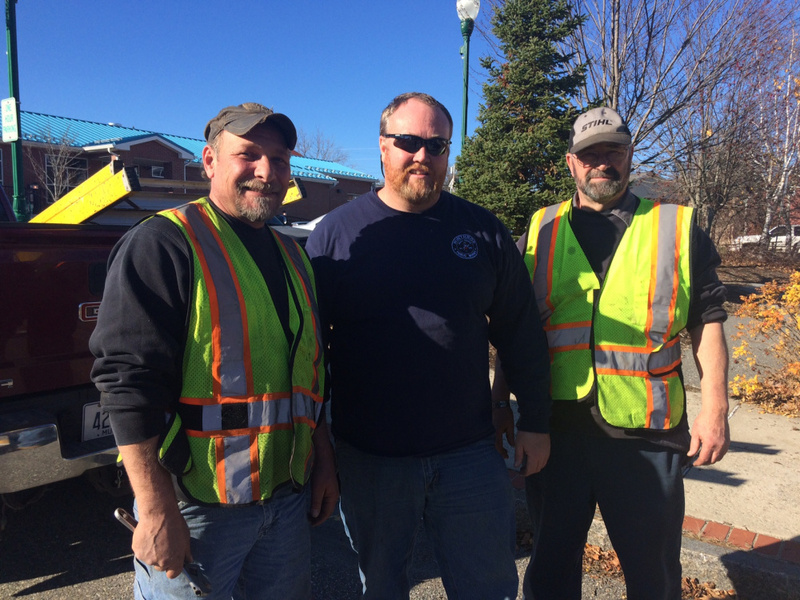 Along with keeping the roads safe during winter storms, Winthrop Public Works’ employees assist in many jobs in town, including hanging holiday lights. Employees, from left, Keith Frost, Lewis Gray and Gary Vigue, take a rest after climbing ladders to hang lights on Winthrop’s Main Street poles. “The Winthrop Lakes Region Chamber and the community appreciates the public works crew’s efforts in hanging the lights and adding beauty to our town during the holidays,” said Barbara Walsh, Chamber director, according to a Chamber release. The lighted globes decorating Main Street and the municipal/post office parking lot trees, were donated by the Chamber and created with the help of several business owners in town.